Loretta Largo is the Broker/Owner of First Choice Real Estate, LLC of Huntsville Alabama. Her business has been recognized by the Alabama Real Estate Commission as the fastest growing real estate company in north Alabama for 2017. She has been practicing real estate for 12 years in Huntsville and has received multiple Agent of the Year awards, Multi-Million Dollar Producer and several others. She caught the real estate bug from her mother who practiced real estate for over 30 years. She has become a seasoned real estate professional over the span of her career and has undergone several hours of training to earn her Broker, CRS, GRI, ABR, RDCPro, e-Pro, and Realtor® designations. Besides real estate, Loretta is kept just as busy by her husband, 6 girls, 3 dogs, and 2 cats! She loves every minute of it! When buying or selling a home in the Huntsville, Madison, Limestone, or Tennessee Valley areas, Loretta’s vast experience, refined negotiation skills, and knowledge of the real estate market will help to make your home-buying or selling experience a more pleasant and profitable one. Whether you are buying or selling your home choosing the right agent will make the world of difference. After serving and living in the Huntsville area for 18 years, Loretta is confident she has the right qualifications and professional experience to help you and your family make the best real estate decision. If you are a Seller, Loretta has the right marketing strategy and plan that will get your home sold for the highest possible market price in the shortest amount of time. You won’t find a harder working real estate professional who understands your needs. As a home Buyer, you will be confident that you are hiring a savvy and seasoned negotiator who will help you buy that dream home for the best possible price. Loretta has a passion for what she does and it shows! Just ask the numerous satisfied clients she has and they will tell you, “Call Loretta!” Call her today and let her get to work for you! 256-840-7300. Valerie has a robust knowledge and understanding of the buying & selling process, a passion for customer service and satisfaction, and a desire to deliver a rewarding experience to all she encounters. Her drive to impact the Real Estate field in a positive manner stems from having lived in 5 different states in the last 15 years, both owning and selling homes in each state. These relocation’s have garnered her extensive experience in the very personal process of buying and selling a home. Valerie understands the process in-depth, the effect of the local economy on real estate, and most importantly, the customer service needs for both the buyer and seller. Valerie’s personal finesse, high integrity, attention to detail, proven marketing strategies, and commitment to customer service is guaranteed to deliver ease, trust, confidence, and security throughout the process of buying or selling your home. She aims to ensure positive results for all parties engaged and tries to set the stage for successful outcomes all around. Valerie has fully committed herself to a life of service. She has served 8 years of active duty in the United States Navy which afforded her and her family an opportunity to live in other areas such as New Orleans, LA, South and North Virginia, Maryland, and Charlotte, NC. Valerie strives for excellence and has worked hard to gain success in her Real Estate career while also maintaining her Financial Management certifications and earning her MBA. Please visit Valerie Cortez www.1PercentAdvantageRealEstate.com for more information on her buying and selling strategies, or call/text (256)724-2435 if you have any questions, would like to view a property, or need to sell your property. If you prefer, feel free to email her at Valerie.Cortez1@gmail.com. Agents Barbara Gibson and Teresa Gaffin are sisters. Barbara is a Huntsville native while Teresa was born in Paducah, Kentucky. They have two other sisters that also live in Huntsville. Their great grandparents settled in Madison County dating back to 1880. Their families have seen many changes in the Madison County area from the construction of Memorial Parkway to construction of Interstate 565 and the many changes in malls and shopping areas to the downtown areas around the square. They have experienced a Madison County population growth from 50,000 to a growth of over 400,000! They both enjoy doing various crafts consisting of chalk painting and chalk couture stenciling. They also enjoy working on their family genealogy. Barbara Gibson is married to Curtis. She has 2 sons and 3 grandchildren. Teresa Gaffin is married to Bob. She has one daughter. Teresa Gaffin worked at Redstone Arsenal for 38 years and retired as a contract specialist. During that time she also worked part time as a real estate agent when she received her real estate license in 2000 and received her brokers license in 2009. Teresa has 18 years experience as a licensed real estate agent. Barbara received her real estate license in 2010 and has a total of eight years experience as a real estate agent. Both of them have a combined total of 26 years real estate business. Barbara and Teresa also work for Teresa’s husband’s construction business (G & G Builders) part time. They understand the task of keeping all clients satisfied. They both enjoy working with clients and making their dreams come true. They concentrate on putting their clients first! They are looking forward to this new chapter in their lives and working with First Choice Real Estate! Joshua Cancinos, a North Alabama native has an intriguing and unique background. Josh was born in White Plains, New York as a first-generation American. He was raised in a bilingual house hold and is fluent in both English and Spanish. Joshua graduated from Muscle Shoals High School in 2014, and then he went on to study economics at the University of North Alabama. Josh has always aimed to embrace and celebrate all of the differences in people. He continues this quest by being a licensed equal housing realtor in your area. Joshua Cancinos is a young, diligently committed realtor that focuses on your real estate experience. Josh will make your next real estate endeavor a seamless one. Joshua’s personal goal as a realtor is to help you make the knowledgeable and successful real estate decisions while having your experience be an enjoyable and effortless one. Let Josh be your key to the home of your dreams! Jeff moved to Huntsville from Colorado in 2010 with his wife of 23 years and two sons. In Colorado he was active in custom home building, renovations, rental properties and land development. As in all of his endeavors, Jeff strives to serve his clients with the passion, knowledge and skill he has developed in the real estate industry throughout the years. Jeff enjoys giving back to our community through coaching youth in Olympic style rowing, as well as Special Olympic athletes in Paddle Boarding. He provides free rowing opportunities and scholarships and to disadvantaged youth through a non-profit he founded. He is a devoted husband, father and son, an avid reader and member of a local church. Barry grew up in the Huntsville area. He has been serving the North Alabama area in real estate sales since 2005. Barry not only has his real estate license, but holds degrees from Jacksonville State, UAH and a Law Degree from Birmingham Law School. He enjoys spending any free time with his teenage son. Barry brings a wealth of experience representing clients in real estate transactions to better serve his clients. Barry looks forward to providing you with worry free customer service. Real Estate Agent Since 2005, Former Bank Officer In Lending, Collections and Foreclosures, Commercial Banking, Loan Office, Mortgage Banking, Insurance Real Estate. Qualities: Trust, experience, hardworking, can be reached by phone most of the time. Teresa is an experienced Real Estate Agent in both Alabama and Virginia Markets. I have been a Business owner for 19+ years and bring a certain set of skills that will guarantee satisfaction in this Ever Changing Real Estate Industry. Teresa specializes in "PEOPLE", Exceeding Expectations Every Single Time Is My Ultimate Goal For YOU, my Client. Marti was born in New Orleans and raised in Washington state before moving to the Huntsville area. She has 3 grown children and 3 grand babies. She holds both her Real Estate License and State of Alabama Insurance license. She is a professional, personable, detail oriented real estate agent. She enjoys gardening, hiking, and going on cruises. Neysa is a life long resident of North Alabama. She worked 25 years for the department of housing and urban development as a public housing manager. She then started her career in real estate in 2005. She has served as qualifying broker for RE/MAX Legacy in Athens and Madison, as well as broker for Leading Edge in Madison. She is the CO owner of Leicher Custom Home Builders. All of this experience is used to help clients with their real estate journeys . Born and Raised in Huntsville, AL, Yolanda Leonard knows first hand the numerous benefits of living in Huntsville and the surrounding areas. Having lived in Madison, AL; New Market, AL; Hazel Green, AL, and NW Huntsville, her experience and knowledge as a life-long and varied resident is unmatched. Serving as a Collaborative Education Teacher for two of the more prominent school systems in Madison County, has not only given her a proficient understanding about desired locations and various schools in various areas, but it has also equipped her with the inept ability to be patient, pay attention to detail, and to be a strong advocate for whomever she is serving, in whatever capacity. Yolanda’s caring personality and integral nature are perfect characteristics to ensure that her clients’ desires will always be carefully considered, and that each experience will be handled with integrity. Being an active and connected community member, Yolanda’s life-long residency will only enhance her client dedication, as well as her goal to provide a “Win-Win” experience for everyone, in every transaction. Charles has traveled the globe defending our county in the United States Navy. After 13 years in the Navy, he and his family settled in Madison County. He spent the next 9 years managing government contracts and improving customer relations for Verizon. Charles has spent the last decade dedicated to learning the ever changing real estate market. His expertise in Real Estate is strengthened by his polished negotiating skills, discipline, and experience of working with all kinds of people and personalities. Charles is married and the father of six children. In his free time, he can be found fishing or in his garage with his boys woodworking. Tiffany was born into a military family and has lived all over the world. She finally settled in Madison, AL. In her spare time, Tiffany enjoys reading self help books and spending time with family. As a senior analyst with the department of defense, Tiffany has worked with or been affiliated with the military her entire life. Her love of real estate began with helping her family maintain several rental properties in Washington DC and Pittsburgh area. Tiffany has one child, 10 years old. A self proclaimed over achiever, who is dedicated, determined, Tiffany is also a great listener who pays attention to detail. She is extremely comfortable in high stress environments. She looks forward to assisting you in your real estate needs. Mike is a Huntsville native with 18 years real estate experience serving North Alabama buyers and sellers. He is married to Carrie and together they have 5 children. Mike enjoys boating, riding his Harley and spending time with his family. Mike has weathered the ups and downs of real estate market and looks forward to serving you with honesty and integrity as your real estate agent. 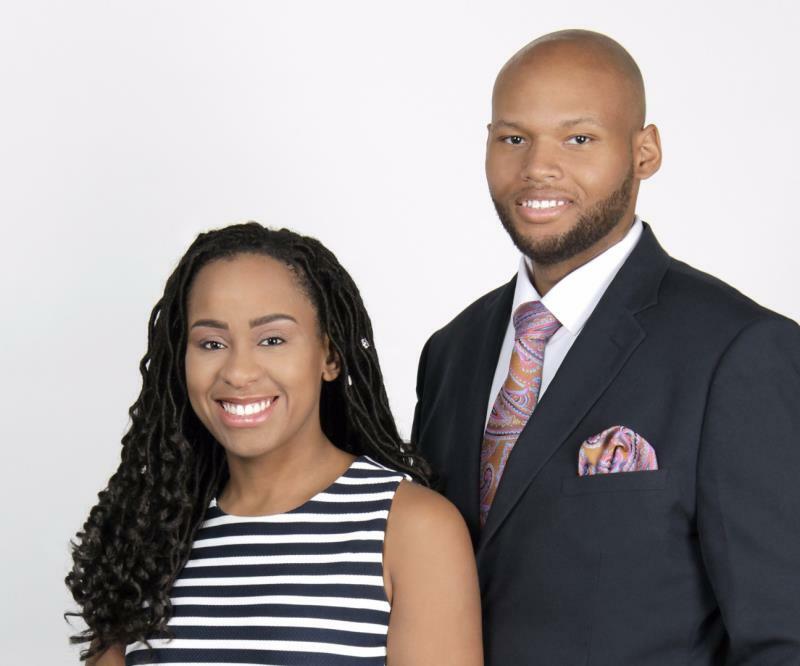 Toney and Kira are a husband and wife team serving the Northern Alabama area with their skill and knowledge of real estate. They are both successful real estate investors who have a love for the real estate industry and believe in forcing value into communities by promoting ownership. With the Parker team on your side, they treat you like family and put you first whether it is in buying or selling. Why have one realtor, when you can have two on your side! Deborah Strader is an award winning Realtor who has been making her client's dreams a reality for almost 10 years. Based in Madison County, she is the expert to help you with all of your real estate needs in Huntsville, Madison, New Market, and the Harvest/Monrovia areas. As a retired military wife who has lived in 4 different states and Germany; with 11 total moves; Deborah understands the stress and hassles involved and strives to alleviate those concerns for her client. Specializing in first time home buyers, listings, new construction, and foreclosures; she has the skills necessary to assist her clients with every aspect of the transaction. The Waldrop Team's motto is "Better Together" and that is how they love to operate. Married for 17 years, their love for helping people and entrepreneural spirit make them a great team. They previously owned a landscape and grounds maintenance company for 15 years. They still have a passion for the outdoors and horticulture. Thus, they love the opportunity to encourage and help a homeowner spruce up their curb appeal and they are a great go to for any questions related to that industry. Huntsville is Leah's native home and Jonathan was also raised in North Alabama, in Fort Payne. They love this area and everything it has to offer, and that is why they have chosen to raise their four children here. They service all of North Alabama specializing in residential and commercial real estate. They are also very knowledgeable regarding new construction, lots and land. They thrive on taking the stress off of you and helping make your real estate dreams come true! Mack is an avid outdoorsman , husband and the father of two girls . His love for his family drives him to be a man of integrity, faith, and hard worker. His expertise in Real Estate is strengthened by his background in construction and as an investor in property. He understands real estate from the ground up. 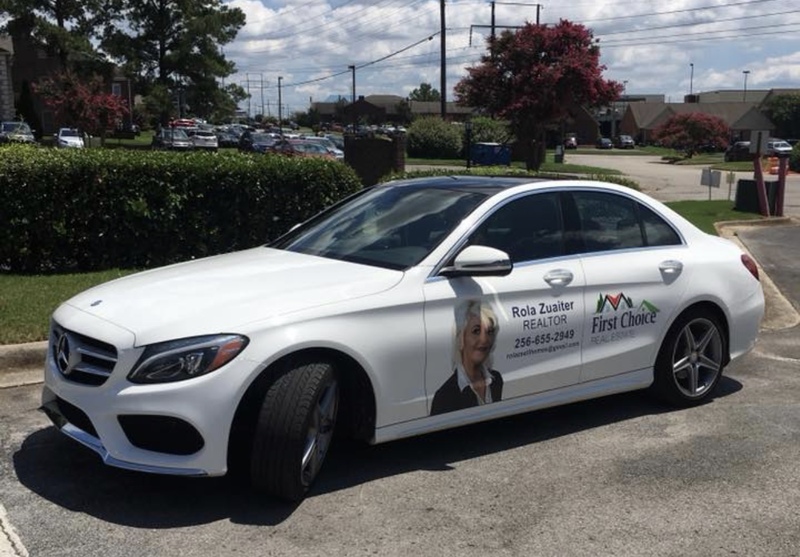 Rola Zuaiter has fulfilled her long-time dream of becoming a Realtor and has teamed up with First Choice Real Estate. She has a true passion for helping people and is very warm-hearted. Rola is a skilled listener and seeks to understand her clients’ real estate needs. Her ultimate goal in every real estate transaction is client satisfaction. She will help you find your dream home, GUARANTEED! She is committed to go that extra mile to make each of her client happy with their home purchase or sale. Finding a solution to her client’s real estate needs is her number one priority. Her vast business knowledge and sales experience makes Rola the perfect agent to deal with! As a professional Realtor, Rola has all the necessary skills to get you to closing! She has many talents and has an eye for interior decorating and can advise you in staging your home. When dealing with Rola, you will immediately see that she has very positive and happy energy. She loves to help people and it shows! Born in the Middle East, Rola became a citizen of the United States in 1993. She is fluent in 3 different languages and has traveled internationally. She is happy to have made Huntsville Alabama her home for over 20 years! She owns a few businesses along with her husband and is a proud mother of 6. As an entrepreneur, Rola understands the importance of customer service and has established wonderful relationships with many clients. With Rola by your side, your real estate experience will be less stressful. If you’re looking for a savvy Realtor, Rola is it!